Several years ago, I read a book entitled No One Sees God, which strikes me as the starting place for all religious doctrines, whether Christian, Jewish or otherwise. Perhaps it was the ancient Egyptians, before the Israelites, who first tried to fill in the vacuum between all we don’t know and the too-little we do know about God. The risk is we are always inclined to humanize Someone who is invisibly divine, and so can not be “shrunken,” even by various mythologies or doctrines. God was never human Himself. As we know, the concept of the Trinity is never mentioned in the Bible, particularly by the Israelites, since they would never accept a triune God. Jesus was a Jew who was trying to stretch Judaism to nearly its breaking point to allow for its ascendancy into a more functional way of life beyond mere religion (‘the Law”), so the notion of complicating this, especially amongst questionably literate people, would seem (to me) unnecessary to Him. If I were more cynical about this, I would say that the early Christian church leaders were trying to re-invent the panoply of mythological gods of the Egyptians, Greeks and Romans on an “easier to stomach” basis, with only three gods, instead of so many. But why have three, when One would suffice? To whom does the Holy Spirit belong, without an identifiable name or “face,” how do we distinguish “it” from “acts of God,” and how does “it” influence us, say, from our prayers? Why isn’t the Holy Spirit simply an expression of the will of God, just because Jesus gives “it” that name? To be silly, insurance adjusters do not use “acts of the Holy Spirit” when settling damage claims. The obvious question: is God crucifying, killing and resurrecting Himself during Holy Week under this doctrine, if Jesus is “God made flesh,” but if He or They have already always been eternal, how does He “die?” How can one be human and divine simultaneously while in a human body? The analogy of water in three states in often used (liquid, solid, vapor), but the same exact volume of water can not be in two states of matter simultaneously. Dripping icicles or boiling water into steam still reduces the original volume. I will bend this a little at the end while discussing the Resurrection. Why does Jesus sweat blood in Gethsemane if He has already and eternally been in Heaven before He became human? 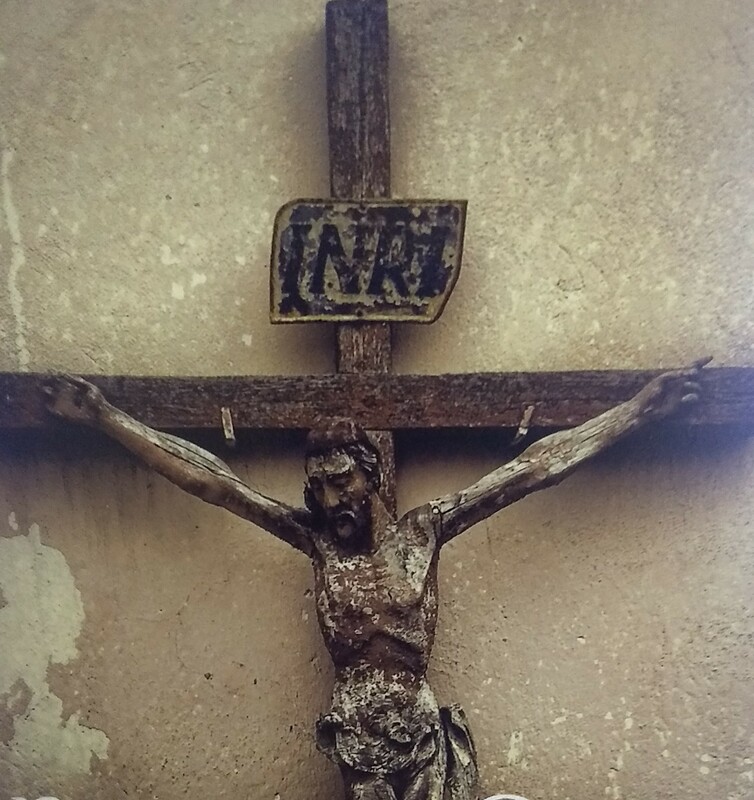 Is He “merely” afraid of being scourged and crucified? Psychologically, the Trinity concept as three “co-equal, co-eternal and independent Persons” does not pass the common-sense test of sufficient ease of understanding to become introjected (absorbed) to use. How many people pray to the Holy Spirit, compared to God or Jesus? Gods do not die, and Jesus scolds the disciples for not readily understanding His parables as early as Mark’s Gospel, so His frustration is human, and not divine. Tertullian’s sense of trinitas was formed in ca. 200 C.E., long after the Gospels were written, and elaborated upon over the next two centuries. (The author of) John’s Gospel finds the Shroud of Turin and Sudarium of Oveido in the tomb, and is immediately immersed in the question of Jesus’ divinity, given that he now knows Him in both realms. Paul, in Philippians 2:5-11, touches on what could be the initial impetus for the Trinity, as he knows of Jesus only through the divine realm of being “struck down” by a Heavenly Jesus. Certainly, these are old concerns. Luther’s sola Scriptura demanded that everything succumb to Scripture, but what happens when “trinity” is not there? I know he used examples from Scripture, but a “three-bodied God” would strike any Biblical reader as a lot to swallow. As I said in my own book, the Bible was never enough by itself. It is a starting place, albeit a very good one. Stubborn as I can be, I have needed something I could (almost) hold in my own hands. The Catholic concept of transubstantiation, while fudging the physicality vs. symbolism of the Last Supper, actually makes more sense as a melding of such to foster the introjection of Jesus as a burgeoning man-god. It is too dogmatically puzzling, yet makes more sense than does the Trinity, as I better see its purpose. So, an alternative. By our time, after post-Lutheran religious wars as well as science, medicine and the endless theological speculations of very learned men, any Christian doctrines must now be strained through that nagging, very mystical question: what really happened in the Tomb? I would say that Jesus was always necessarily special in the Biblical description, but what about His “apprenticeship” (ages 12-30), before which there is no evidence of either ministry or miracles, nor any proof of divinity? It does me no good to think that He had already been eternal since the creation of the universe, but had never shown Himself until just before Herod the Great died, after the Maccabean revolt had energized the Israelites, but were now again threatened by Herod Antipas? Jesus is born of a human mother (whether virginal or not — either way is fine with me), retains “ordinary” human form throughout His life, and evolves (“wisdom and stature”) until God tells Jesus it is now His time to (try and) save the world. It takes Him a long time to even reveal to His disciples that He is the Son of God. I don’t think they would have accepted the Trinity idea, struggling as they were, since Jesus was always way beyond them, anyway. His ministry unfolds until and through Holy Week. So what is that “act of God?” Physicists doing Shroud research speak of what they call an “event horizon,” in which gravity is momentarily suspended to allow Jesus to rise off the rock, with the tautened Shroud completely around Him, and, in a millisecond, His bodily image is projected onto the linen, front and back sides (without distortions) with the radiation of a small sun. He ascends (after grilling fish on the beach) to remain in Heaven with God, perhaps forever. His post-Resurrection appearances to either Mary or at Emmaus seem to reflect his varying “state of matter.” Ask a physicist. In a solar system analogy, God is the sun, Jesus is Mercury, and the rest of us are other planets, depending on our faith (I used to be out beyond Saturn, in my younger years). Jesus always hovers in the tightest orbit around God, which shrinks and shrinks throughout His life, and collapses altogether at the moment of His Resurrection. He then is swallowed into the sun, perhaps forever. For me, there is no “fully human, fully divine” Jesus, there is only His “evolving toward the divine” until it actually happens, under the auspices of God. As a man, Jesus can not affect the weather, bring forth birth or change the laws of chemistry or gravity by Himself. He did not create them, God did. Jesus did not claim to be God, even at the point of death. He was God’s begotten Son, and there is a very real difference. He was an electro-magnet, not of His own creation, but of His very necessary embodiment. I think this is what “the beloved disciple” understood in the Tomb (and in the Upper Room) in the greatest piece of Scripture: John 20: 1-9. Jesus’ evolution thus provides an example for our own Spiritual journeys, since none of us will ever be divine, at least in this earthly life.